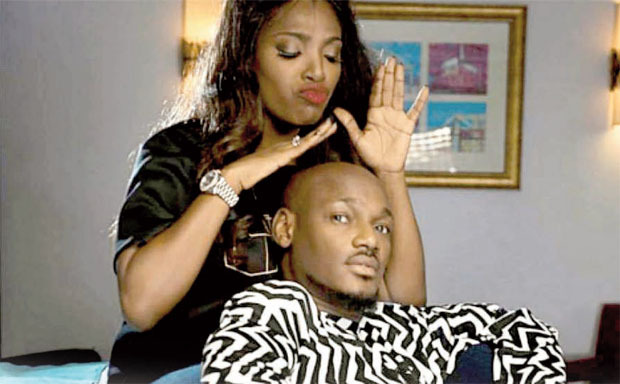 Singer 2face And Annie Idibia’s Marriage In Trouble? One of Nigeria’s finest celebrity couples Innocent Ujah Idibia, well known as 2face and his wife, Annie Idibia may be having marriage troubles. 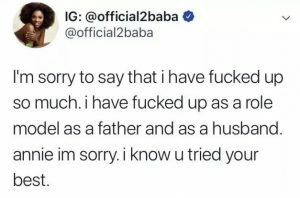 In the early hours of a Monday morning, 2baba took to his social media platform to apologise to his wife of seven years.